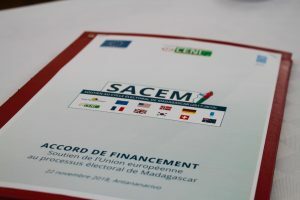 On 22 November 2018, the European Union formalised its second contribution to the basket fund of the Electoral Cycle Support Project of Madagascar (SACEM), for the organization of credible, transparent, peaceful and inclusive elections in the country. 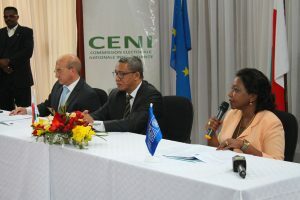 His Excellency, Giovanni Di Girolamo, Ambassador of the European Union in Madagascar, and Mrs. Violette Kakyomya, Resident Representative of UNDP, proceeded to sign this new financing agreement within the premises of the National Independent Electoral Commission (CENI) of Nanisana, in presence of its President, Master Hery Rakotomanana. With this contribution of $ 1,287,770 adding to $ 1,777,251 already committed to SACEM in July 2018, total contribution of the European Union to the project will increase to more than $ 3 million dollars. 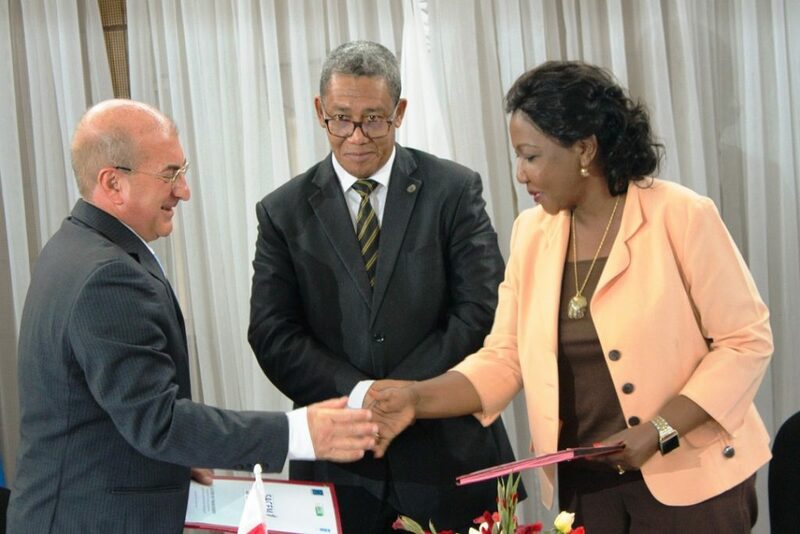 This second contribution, funded under the Instrument contributing to Stability and Peace (IcSP), will support concrete solutions to the challenges posed by certain provisions in the new legal framework, such as organisation of the second round of the presidential elections within a short deadline, the separation of the second round of the presidential election from the parliamentary elections, the increase in the number of polling stations by nearly 29%, and the implementation of the results transmission system using VSAT technology.